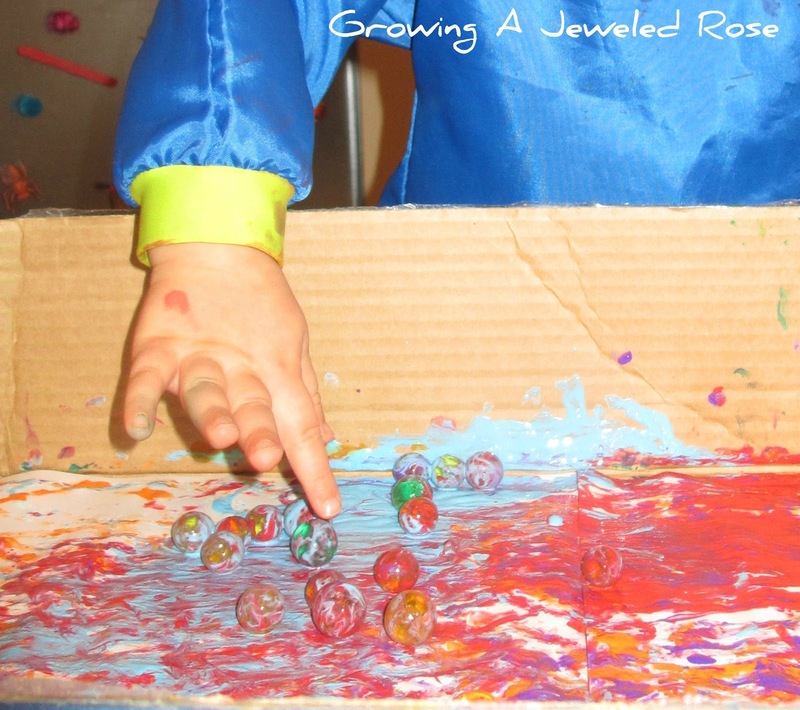 We have so many water beads left over from the group sensory play date we recently hosted, and have been trying to find new ways to explore with them. 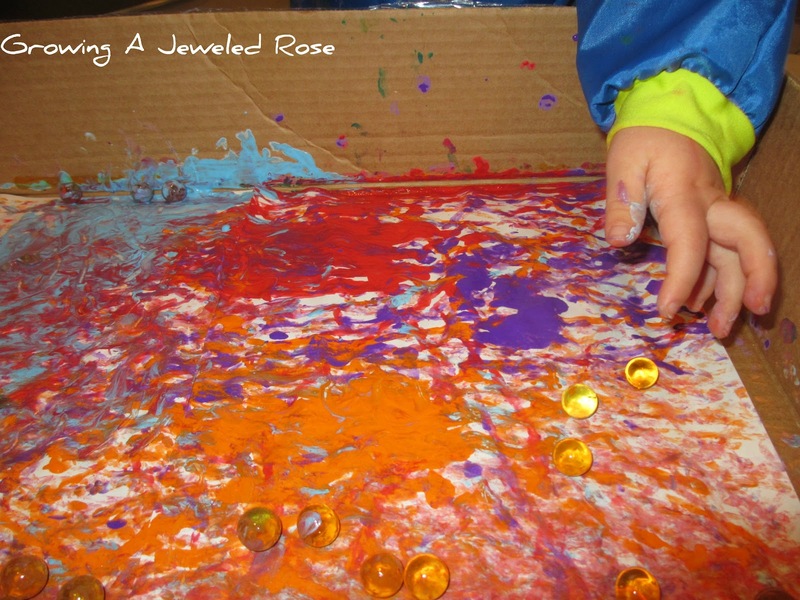 The other day while we were playing with the water beads on our light table, Rosie asked to paint. "Great idea", I thought. Let's paint with water beads! 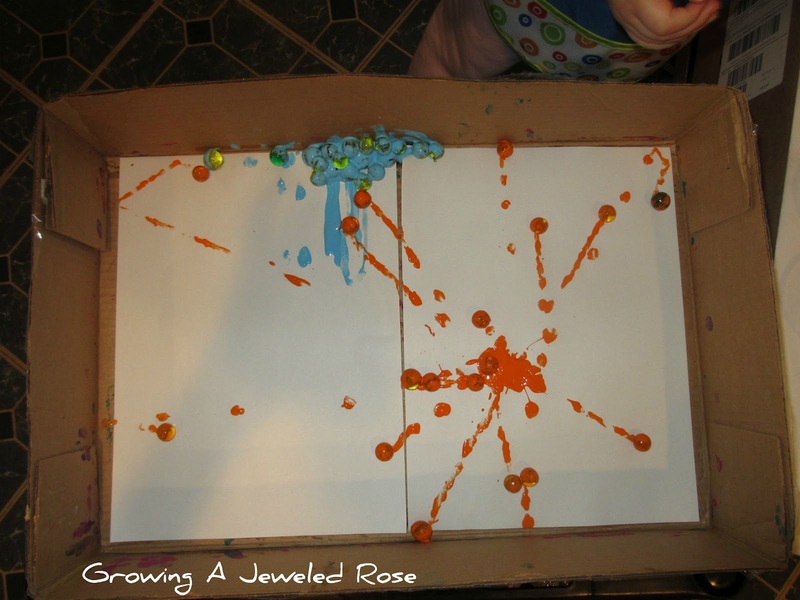 Painting with water beads is very similar to marble painting. 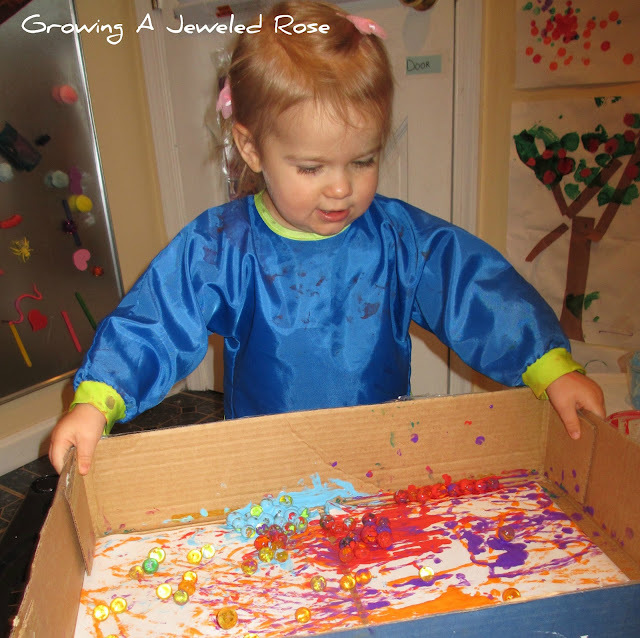 Since painting and playing with water beads are two of Rosie's favorite activities. 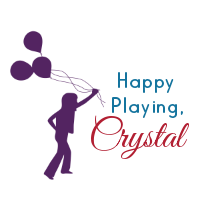 I was so excited to combine them! 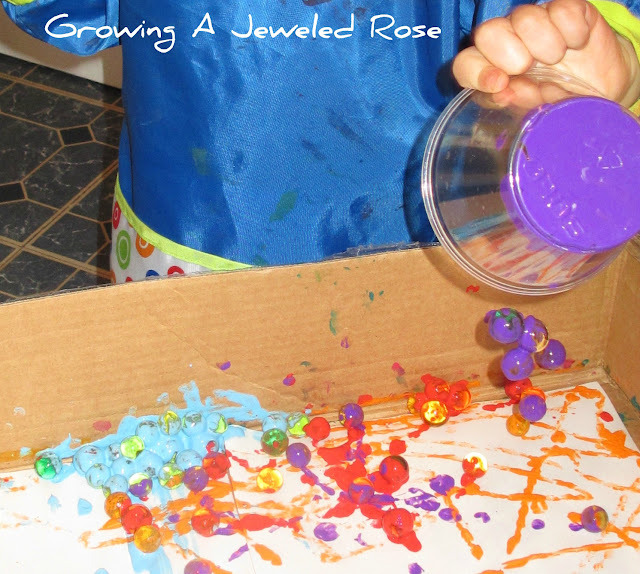 I placed a small hand full of water beads in clear cups, and added tempera paint. 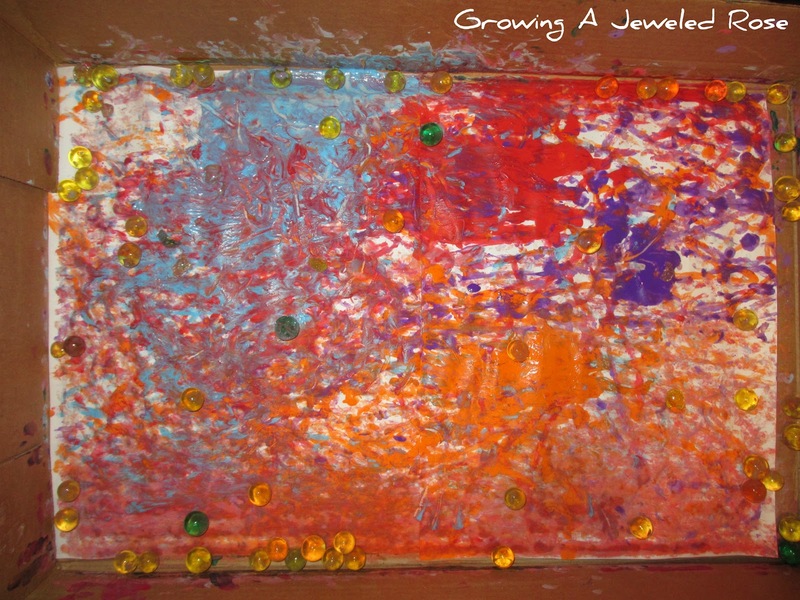 I then set out a shallow box with paper inside. 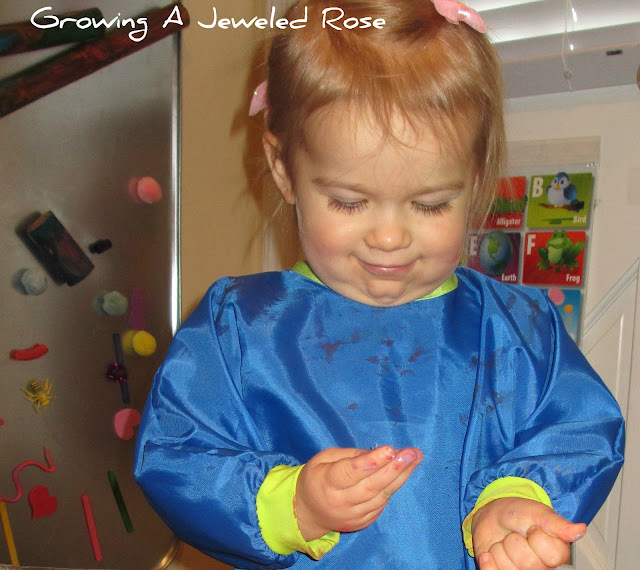 I was anxious to see how Rosie would handle this activity. 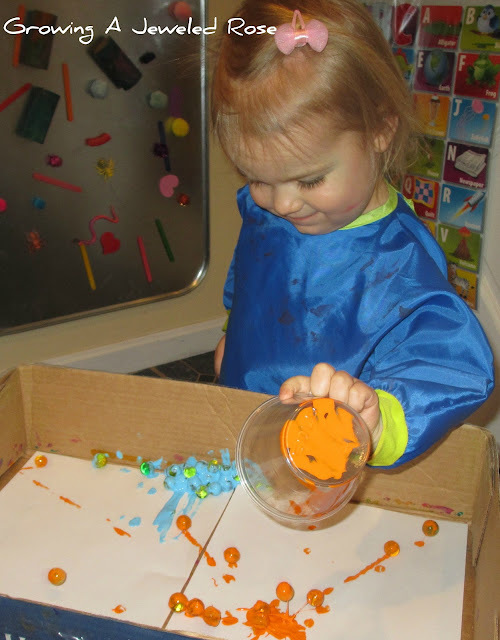 Would she pick up the water beads, and place them in the box, or pick up the cups, and dump the water beads into the box? She was enthralled! As with most toddlers, Rosie loves filling and dumping containers. 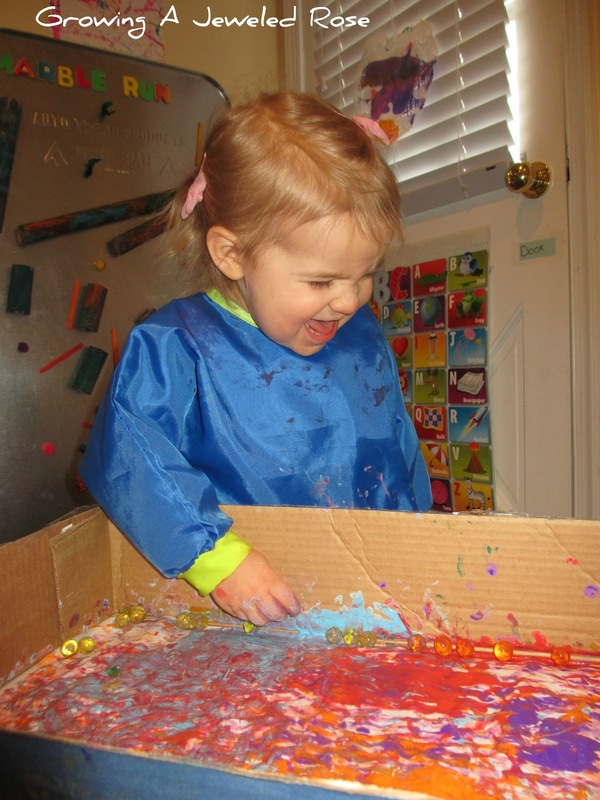 Once Rosie had dumped all the cups, it was time to shake the box around to spread the paint. 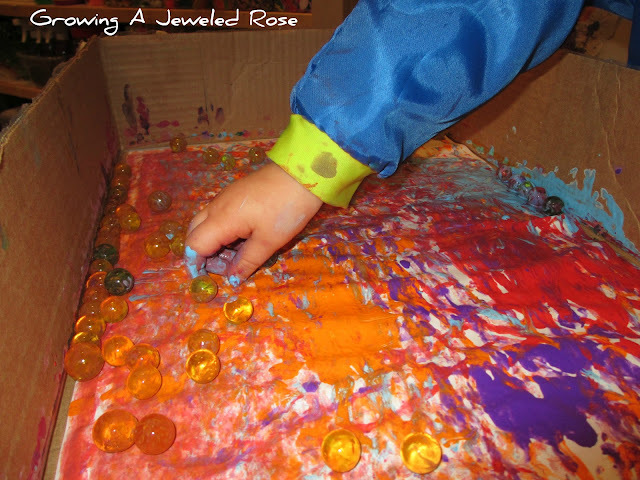 Then Rosie began using her hands to manipulate the beads, and further paint the paper. She loved the texture of the paint and the water beads together. 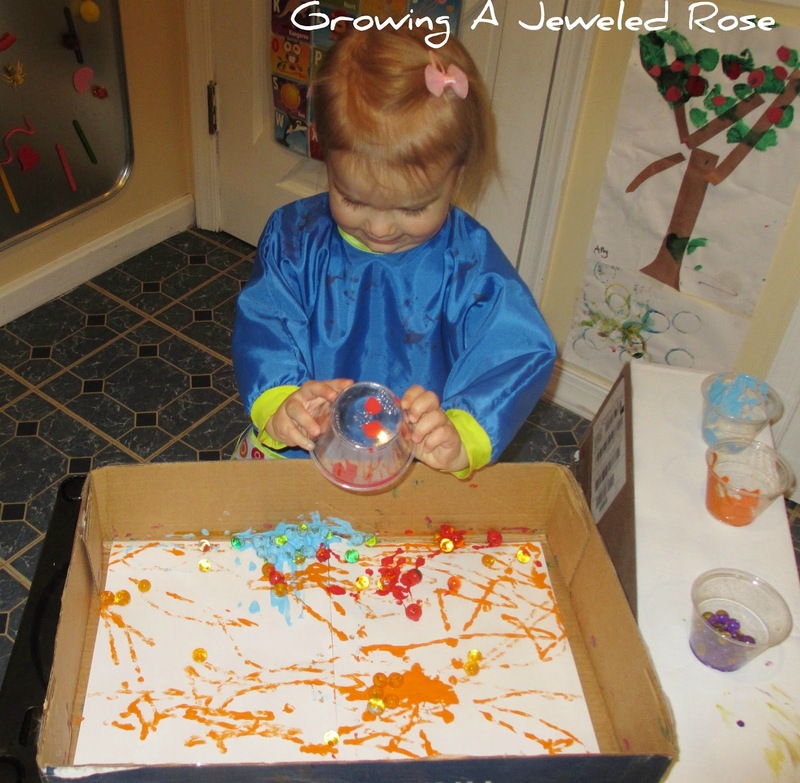 This was such a fun activity! 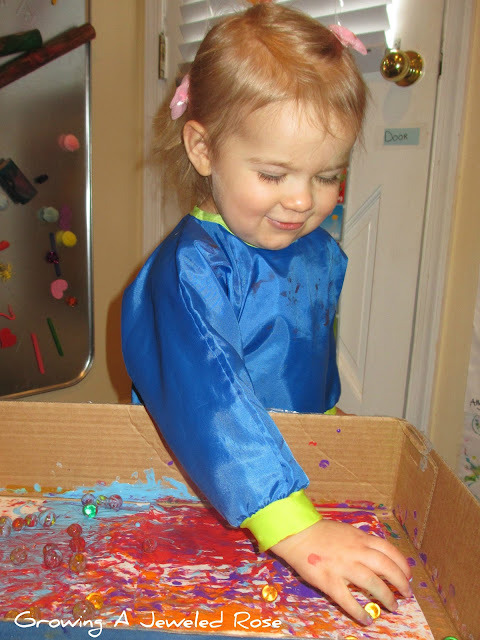 Rosie played with the water beads in the box for quite a while after she was done painting. We will definitely be painting with water beads again!